New Preston, Connecticut. 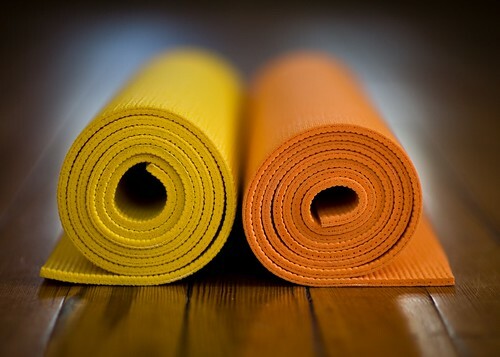 Anne and I were getting ready to leave after a great yoga class this morning and our "his and hers" yoga mats were crying out to be photographed. His is the orange one, more tightly wound (like him) and hers is the yellow one, looser and more optimistic. they do best leaning on each other lest they both go flat.